has been designed for non-stop daily use throughout the year. Made of hot galvanized welded plate, the TBC Enclosed Belt Conveyor can operate efficiently with a wide range of grains, seeds, legumes and pellets. It has been designed to operate 24 hours a day and conveys large amounts of cereal. And this is done with easy maintenance. 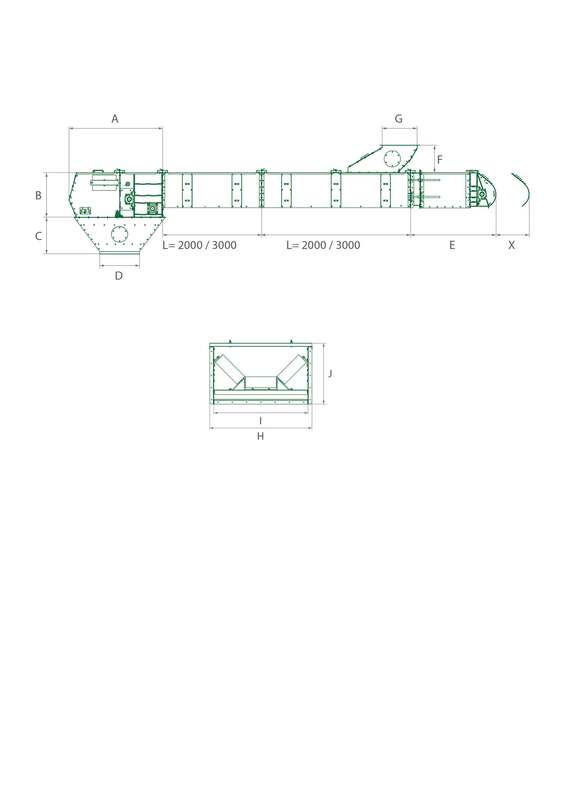 Among the main advantages and features of the enclosed belt conveyor design, we can highlight that it prevents grain pollution and that the band is completely enclosed, without bearings or exposed metal parts within the conveying section. Other benefits are that it uses half the power of a regular chain conveyor, it is much less noisy and it does not damage the grain. The head section of the new enclosed belt conveyor has direct coupling to the shaft. All access points into the conveyor are designed so that the parts can be removed easily and simply, in order to perform a quick maintenance. 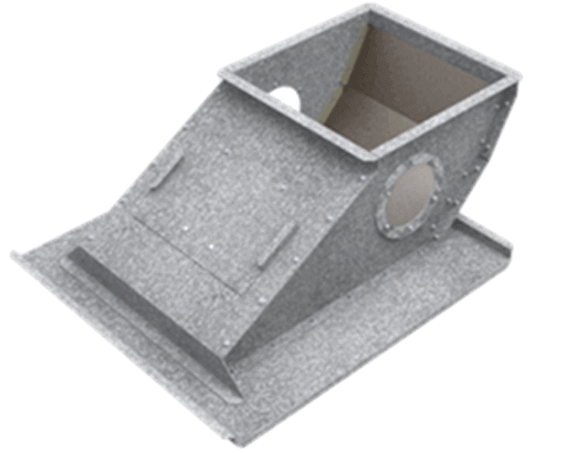 The head section has inspection hatches on both sides, a jam detector and a bearing regulation system. It is also equipped with a drum cleaning system with automatic control. The inputs and outputs are protected with HARDOX 450 in order to ensure a long service life. The reaction arm, which has been designed and manufactured by Silos Córdoba, absorbs the torque generated by the gear motor. easy to open registration gates and a removable rear for maintenance of the pulley. Butyl sealed joints to prevent the escape of dust, and the pollution of grain by other agents or humidity. Thanks to the bearing regulation system, it is possible to align and correct any deviations or misalignment of the pulley to ensure the proper operation of the conveyor. 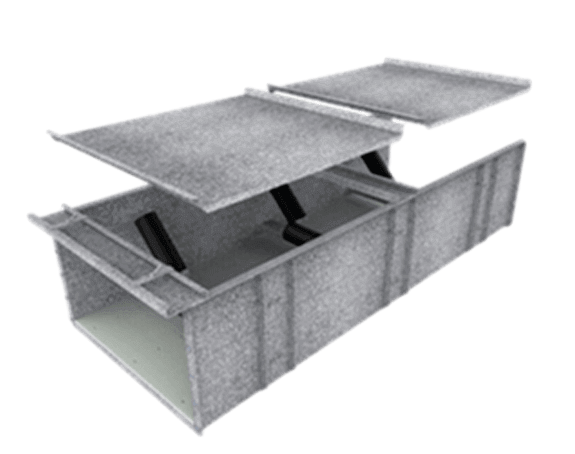 The housing bearings are strengthened with welded hot dip galvanized reinforcements. The intermediate section of the new belt conveyor has a simple design using bolts. It also features a system for self-centering of the rollers, in order to correct any band’s deviation. Among the main advantages we can highlight are that the base is made of anti-wear HDPE 1000 material, ensuring the perfect band slippage and preventing the wear of the bottom of the conveyor. Also, the tap cover can be easily removed for maintenance tasks. 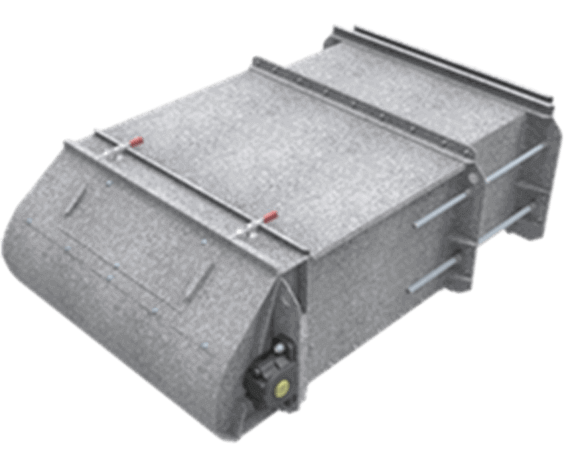 Input and output hoppers are protected with hightly resistant HARDOX 450 antiwear material. They also include inspection windows on both sides. 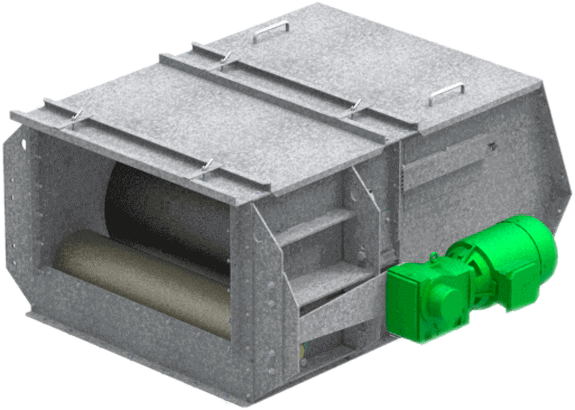 The hoppers are also equipped with register dampers, the design allows installation of supports in the intermediate sections at different heights depending on the requirements of the installation. One of the great advances of the new design is that we can see what is happening inside the conveyor through the large inspection windows. Also, we can allow access through the registration gate.